Look at this page to learn more about our work! Don’t hesitate to take a look at our recent projects to see the many garage door repairs that our company has delivered. You’ll find out how our technicians use their skills to plan each job from start to finish. Our Solution: After inspecting several parts of the door, we quickly discovered the root of the problem. Several of the rollers had worn out. 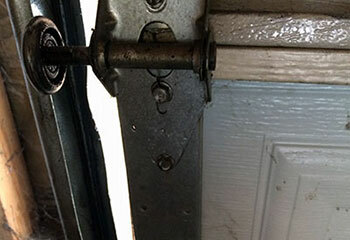 We replaced them with a new one and then lubricated all of them, as well as the springs and the hinges and made sure the door was able to move quietly again. 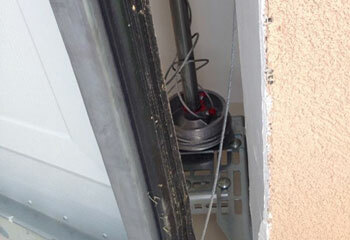 Our Solution: We made sure the door was completely closed before removing the damaged cables. We then attached new, more durable cables in their place and tested the door to make sure it was working smoothly and reliably and that the panels were evenly balanced. 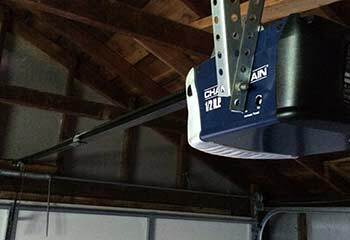 Customer Issue: Chain hanging loosely from Chamberlain model PD612EV garage door opener. Our Solution: We fixed the chain’s tension by adjusting the nuts on the inner trolley, making sure that the chain wasn’t too tight. 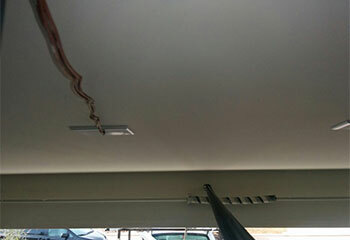 Customer Issue: The client needed help installing a new Clopay garage door for their home. 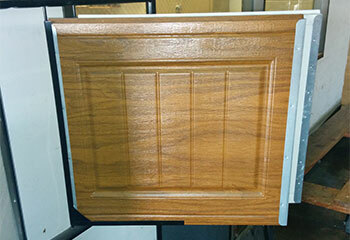 Our Solution: We installed the wooden Clopay model 44 door within a day. We finished off by testing that it functioned properly. Customer Issue: A garage door operating slower than usual. Our Solution: We checked all the parts of the door and found that the springs were close to breaking point, so we replaced them with a brand new set.